I think most of us know how important water is to our overall health. I don’t always find it easy to drink water, especially in the fall and winter. I am trying to do better, but I really have to work at it. Women should have 68 ounces of water a day (20 from food and 48 from beverages) and men should drink 84 ounces a day (25 from food and 59 from beverages). I actually get more than 68 ounces a day since I use filtered water for my coffee. I do drink a lot of coffee. Coffee is mainly water, right? 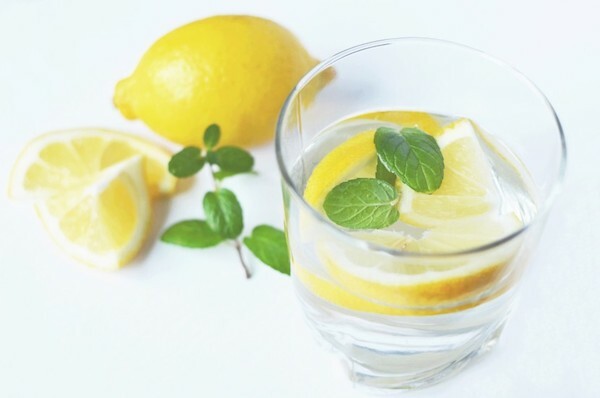 I do like water with fresh lemon and sometimes with lemon and fresh peppermint. Although I knew the importance of water to our health and beauty, this infographic really shed some light on some things that I didn’t know, like the way it affects our internal organs and sharpens memory. For this reason alone, I should be drinking more water… my memory is horrible lately. I also know how important it is to drink filtered water but never thought about how unfiltered water exposes our skin to potentially harmful chemicals. I do remember my mom telling me to drink lots of water to flush out the impurities and to help me have prettier skin. Moms really do know best. I’m trying to drink more water lately. It’s really something I struggle with. Thanks. I know I don’t drink enough water even though I always have a bottle in my purse. This is very infographically informative. I’m printing it for fridge door! Thanks for sharing. Very informative blog post, thank you, enjoyed reading it! Very informative post and infographic. Drinking more water is something I struggle with daily. I’ve been trying to get more water in. I’d like warm water right now, I’m freezing! thanks! i am definitely drinking more water! until you dont read actual facts you dont do something! I buy gallon jugs / refill from the grocery store. I can’t fathom drinking water from a hose on the ground which is my only water source. Gross. I drink alot of water but now that I’m pregnant I need more!!! I had no idea how significant the amount of water you drink is. I’m going to try to drink more. You are so right, all I drink is filtered water and I notice the difference. I also have a hard time getting enough water in a day. I really have to concentrate on tracking how much I drink. Thanks for all the info, something for me to keep in mind when I’m forcing myself to drink enough. We filter our water and that is the only way we drink it! I have been majorly slacking on my water intake lately. I seriously need to get back on board. It’s so true! I haven’t been drinking enough water and my skin is a disaster! I need to be better about drinking water. I go through phases where I drink the recommended amount, and then through droughts where I barely have a drop. I drink a lot of water. This was a great post. Very informative! Thank you for sharing. I recently saw a photo where a woman’s before and after results were put side by side after she started drinking the correct amount of water for an entire month. The results were amazing!